Tips for week 8 (finals) of the #FNB weight loss challenge. We have finally come to the end(or almost) of the Fuel and Burn weight loss challenge. Hmmm, 8 weeks no be beans. Thank you all (both readers and contestants)for hanging in there with me on this ride. The last week will be a cleanse/detox week. If you guys do this well, you should see yourselves shedding more weight, especially the annoying belly fat and water weight. Please take this week seriously. I would say you should do more or cardio this week, with about 30mins of strength training daily. This will help you sweat more and release extra water and toxins from your system. Contestants, please remember to send in your final pictures showing your front and side views, like you did at start of the contest. You should be wearing the same outfit you wore that day too. You need to also snap your scale picture with a current newspaper, please let the date be visible. I wish you all the best of luck. I know I have been saying this all month long but, I just cant wait to see the picturessss!!! I am super excited. But then, Have you made plans for keeping fit post challenge, or are you planing to relax and eat everything in sight? #operationtearbelle What are your plans? 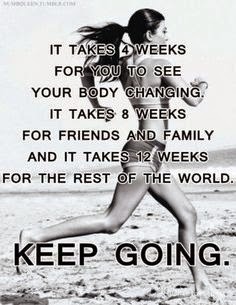 Remember its a lifestyle change. The other 4 contestants are no longer in the game. God bless and have a blessed weekend. Yes o Gift, the Lord has been good. Thanks. Get ready dear, coming soon by the grace of God. Thanks for voting.